The IRS is so aggressive with their collection methods, many taxpayers mistakenly assume that the only way to get rid of their tax debt is to pay it off all at once and if they can’t do it, they're stuck. Thankfully, this is not the case; there are many types of payment plans and other tax relief services available under the Federal tax regulations. At Stuart C Hill Jr., CPA, PLLC, we can analyze your circumstances and find the best way to proceed in your case. Call us now at 817-332-3320 to learn more or request a consultation online. We work with clients throughout the Fort Worth, TX area. Before you can apply for any type of tax relief from the IRS you’ll need to take care of your unfiled tax returns. We can help you collect any lost paperwork, file your back taxes, and can sometimes get tax penalties reduced. If financial troubles are inhibiting you from paying your tax debt or if you feel you shouldn’t be liable for the assessed amount of a tax bill, an offer in compromise might be the remedy for your tax problems. If you’re up to date on filing your tax returns but owe more than you can pay all at once, you may qualify for a type of payment plan called an installment agreement. This solution allows you to pay an affordable monthly payment that will gradually eliminate your tax debt. If your spouse (or former spouse) failed to report income on your joint tax return, you may be able to apply for innocent spouse relief. 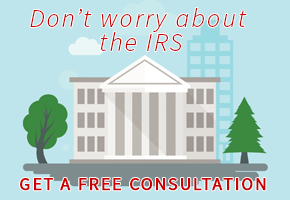 We can determine whether your case meets the requirements and submit the correct forms to the IRS. If you’ve filed your taxes late or incorrectly you can get slapped with steep tax penalties. If this misstep was due to illness, a death in the family, or ignorance of the tax laws, the IRS may agree to forgive or abate the related penalties. This special provision was designed to protect taxpayers who are unable to work due to illness or unemployment. Acquiring this status temporarily prevents the IRS from trying to recover a tax debt through drastic collection methods like wage garnishment or levies.